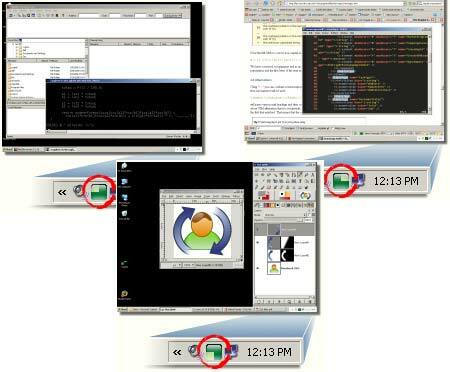 VirtuaWin is a Free portable Virtual Desktop Manager for Windows. Much like virtual desktop managers for Linux/Unix, VirtuaWin enables a user to easily organize multiple applications over several virtual desktops or workspaces. This helps eliminate clutter that normally builds up on singular desktops by giving extra workspace in the form of multiple desktops. This application requires roughly 256KB of free space for completely portable stand alone installation.